Australia has one of the highest divorce rates in the developed world, yet time and again, couples choose to tie the knot. You can’t help but be inspired by this signal of love in the face of relatively poor odds. But many couples do not make it. This isn’t because of their specific personalities, or even because of relationship issues such as infidelity. Couples with difficult personalities or who encounter apparently insurmountable obstacles find ways to make their marriages work each and every day. No matter how tough things have gotten, couples counselling really can pull you back from the brink. Couples often ask us what makes for a happy marriage, but the truth is that there is no single recipe. A marriage is an agreement between two people, and should be structured around that couple’s values and goals. Some couples are zealously committed to equality. For them, an equal division of household labour is vital. Others find this arrangement stifling and frustrating. Most couples view monogamy as a hallmark of a healthy marriage, but even this value is not the same for everyone. Couples can embrace consensual non-monogamy and still have happy, thriving marriages. Ultimately, marriage is a continual negotiation between you and your partner. You don’t have to be the same; you just have to complement one another’s needs, while constantly working to better understand and meet those needs. What’s Necessary for a Happy Marriage? The importance of continual communication, openness, and honesty. Putting one another first by not taking other people’s sides in fights or diminishing one another’s feelings. Doing whatever it takes to understand your partner. Having at least a few activities you can enjoy and share together. Having similar goals for the relationship. Being willing and able to discuss your sexuality and address sexual compatibility issues. Similar levels of commitment; a marriage is unlikely to work if one partner feels trapped. Similar views on parenting, though education and couple counselling can often help address parenting disputes. Willingness to openly talk about finances, and to listen to your spouse’s financial goals, even if they substantially differ from your own. You don’t feel comfortable discussing sensitive issues with your spouse. Your spouse consistently refuses to talk to you about sensitive issues, or diminishes your feelings. You blame one another for the problems in your marriage, without taking any responsibility for your own behaviour. You are physically abusive toward one another. You call one another names or put one another down in an attempt to “win” fights. Your spouse abuses your children. You or your spouse lie to one another. You or your spouse has been unfaithful. You feel afraid of your spouse. One of you is less committed to the marriage than the other. Offer insight into problematic behaviours. Provide information on effective communication strategies, then help you each practice those strategies. Offer parenting advice and support. Protect the spouse who is begin abused by aggressively addressing any abuse that occurs. 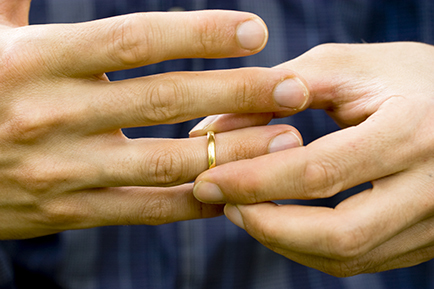 Help you decide whether you want to save your marriage. Help each of you find more effective ways to communicate your own needs while addressing the needs of your partner. Your marriage is your most important relationship, and it touches every facet of your life. When a marriage is in trouble, it is very difficult to be happy. Let us help you chart a course back to happiness. It is possible, if you are willing to put in the work!